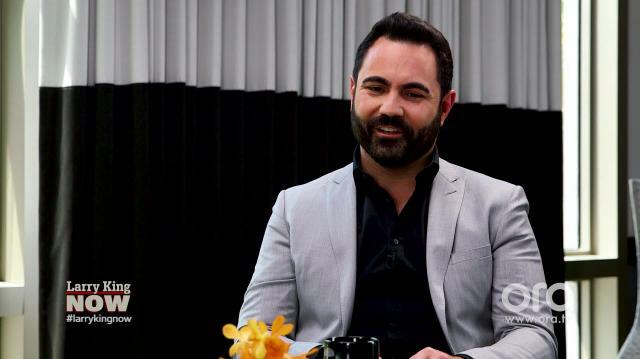 Radio host Enrique Santos candidly discusses how he came out, admitting that it was a very difficult process, and addresses President Trump’s stance on LGBT rights. Tegan and Sara on LGBT rights in Canada vs. the U.S.
Larry King: Was it tough to come out? Larry King: Especially with the Cuban background, they’re not very entertaining of that. How old were you and how did you do it? Enrique Santos: Well I first came out to my family, I was in my early 20s. Enrique Santos: Yeah. I was a policeman. And I thought it was time to tell my parents and my brother. Loving, accepting. I was fortunate enough for my parents to be open-minded enough to understand it. Mom probably already knew. Most moms know by the way. Enrique Santos: Before dads. They’re very loving and accepting, and I’m blessed to have had that experience, because unfortunately a lot of people don’t have that experience, Larry. And they confront, much more so on the Latino side, the machismo is a big factor about it, and we all have gays in our families. All of us do. I guarantee you. If you look around, someone is gay and someone is struggling with this. Larry King: You think Trump’s a friend of the LGBT community? You think he cares? Enrique Santos: I think you hit it right there, what you said a little while ago. I just don’t think he cares. I truly don’t think he cares. He hasn’t proven to me that he cares.